For the second year in a row, Alejandro Valverde was very close to winning his sixth Vuelta a Murcia. The world champion gave in to his compatriot Luis León Sánchez (Astana) in a beautiful duel in the final kilometers of a race that this season recovered a second stage. 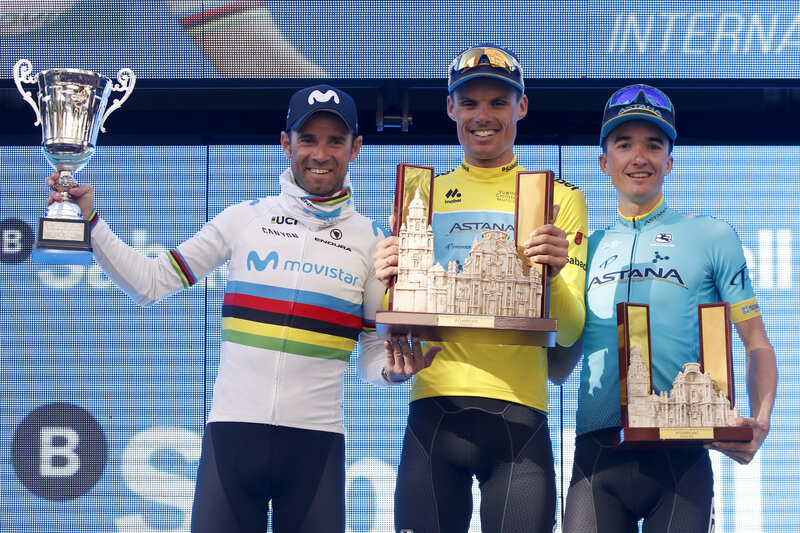 The Movistar Team rider could not against the numerical superiority of the Astana team on the first day of the race, finishing in fourth position in San Javier. Alto del Cabezo de la Plata left ahead to the seven strongest men of the race. Collado Bermejo and the Cresta del Gallo, just 15 km from the finish line in Murcia, marked the course of the second stage. Valverde attacked with violence in the final climb and crowned with a difference of 7” over his countryman, who reached him just after finishing the descent. Who wins the stage would also get general classification. Luis León, with the yellow jersey behind, saved his legs to overcome Valverde in the sprint and add his second consecutive success in this race.